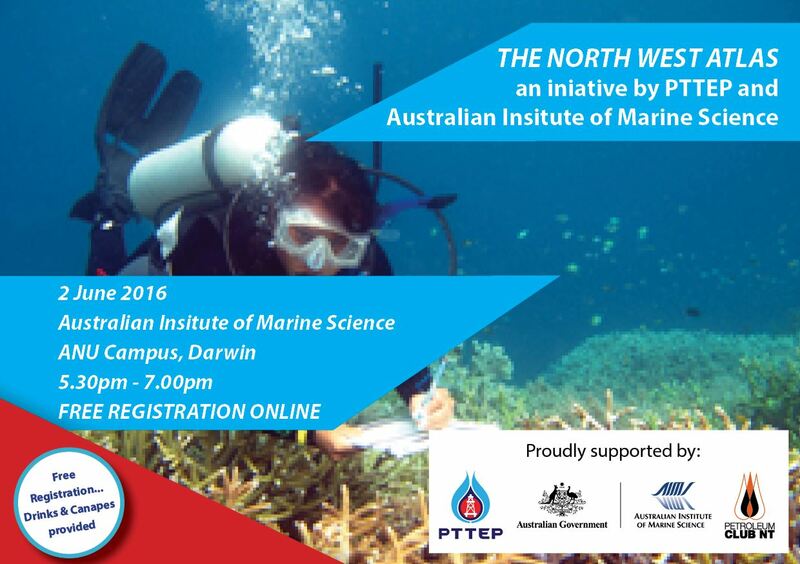 PCNT invite's our members and guests to an industry open night to learn about the PTTEP and the Australian Institute of Marine Science (AIMS) initiative - The North West Atlas. The North West Atlas is a web based platform that contains results of the Montara spill environmental monitoring. This was jointly funded and developed by PTTEP and AIMS and supported by the Australian Government. PTTEP's inspiration was to make the considerable amount of data collected as part of the Montara spill monitoring accessible for the wider community. To achieve these goals, the North West Atlas provides the basis to promote the free and open exchange of information to support science, policy making and public understanding of the greater Northwest region. The Atlas has interactive maps with a database of interesting information, photos and videos of the coral reefs and shoals in PTTEP’s area of operations as well as regular articles and a twitter feed. There has been considerable interest already by the Australian scientific community in this Atlas and the West Australian Marine Science Institution has recently indicated that they will use it as a platform for making more marine science information available to the wider community and to celebrate and promote the biodiversity, heritage, value, and way of life of the greater Northwest region. It is a partnership between government organisations, non-government organisations, researchers, industry, and community groups to improve our understanding and raise awareness of the greater Northwest region. Join us for a drink and an opportunity to network with colleagues while learning more about the North West Atlas. This event will be hosted by PCNT featuring an introduction from Robin Wright, Safety, Security, Health and Environment Manager, PTTEP Australia with a presentation by Ben Radford, AIMS. This is a free event with registrations now open. Please ensure you RSVP for catering purposes.